Politics is war; but in America, one side is doing all the shooting-the liberals. Shell-shocked conservatives blame their failures on the media or on unscrupulous opponents, but they refuse to name the real culprit: themselves. 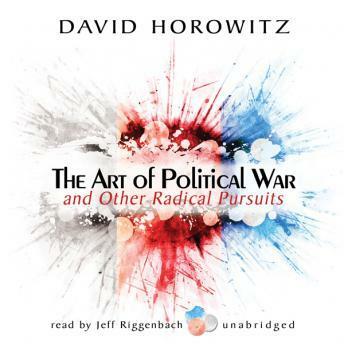 In a book that will shatter the complacency of establishment conservatives, David Horowitz shows how Bill Clinton's generation, having mastered the art of political war, has spent the last ten years clobbering the conservatives in and out of government. The best-selling author of Hating Whitey and Other Progressive Causes has the strategy to fight back.